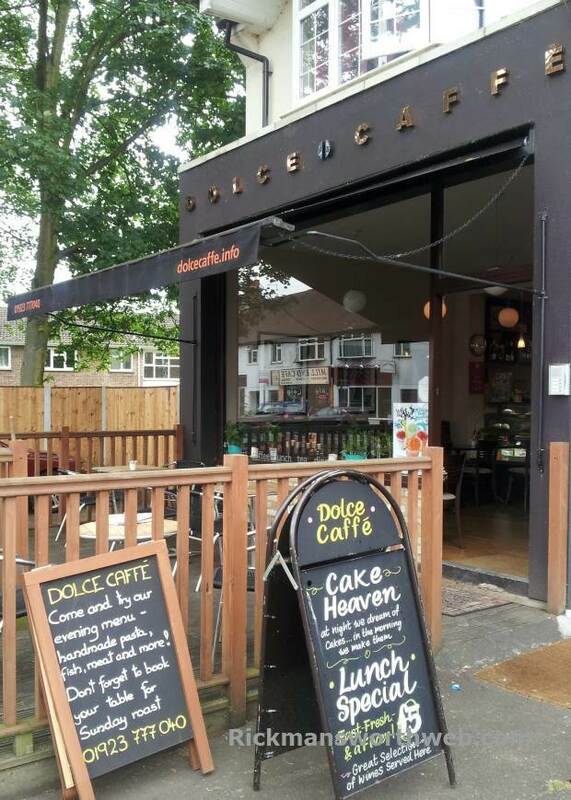 Dolce Caffe is a family run business on Money Hill Parade in Rickmansworth. They sell everything you would expect from a Cafe but with the welcome addition of scrumptious, homemade lunches and dinners. Pasta and sunday lunches are incredibly popular with the locals and the high quality house wine sets this cafe apart from many other local establishments. Service is excellent and staff are incredibly friendly and welcoming.